remember T-1000, the liquid metal robot from Terminator 2? 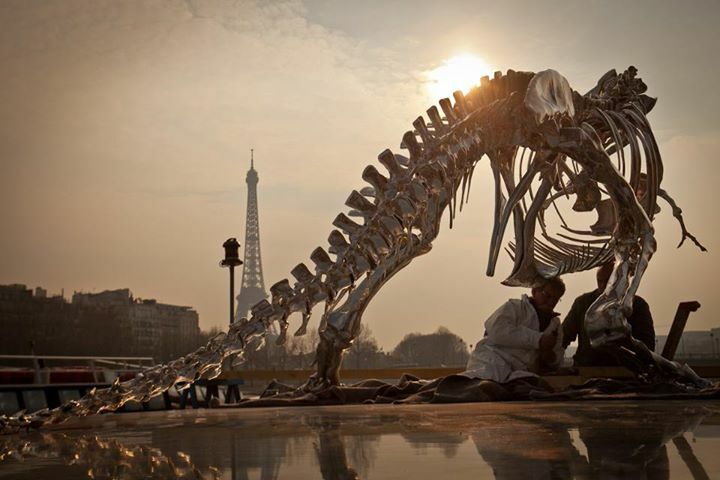 i imagine if T-1000 ever come in the form of an animal instead of a human being, it would look somewhat like the absolutely mind-blowing T-Rex sculpture by this great artist, Philippe Pasqua. i particularly enjoy the combination of an extinct animal that lived in the past and the futuristic/ technophobic look. simply stunning and intriguing! get some paper towels and 409 ready, because chances are, your brain is gonna get all over on the wall and make a giant mess after seeing the other images. mine sure did. gotta mention that photographs by Anthony Gelot is just as amazing! p.s. if you have a T2 and Jurassic Park cross over nightmare tonight, i am not responsible.